These polished, round copper kettles are as beautiful as they are functional. 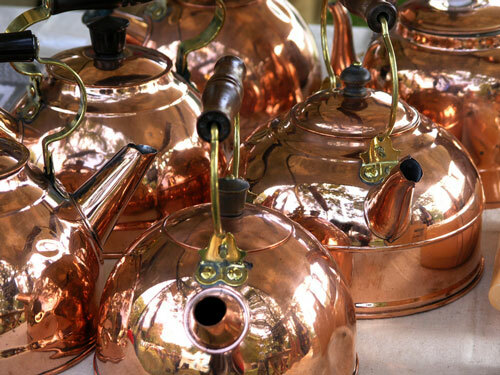 Copper is an excellent heat conductor, ensuring that these kettles bring water to a boil quickly. Copper cookware provides a unique alternative to stainless steel, cast iron, and aluminum, and can help accessorize any kitchen.